--- If your device is not in FRP List, you can try this method. --- Usefull if Mi Account Lock returns back after connecting to Wifi etc. --- It has been added on request of some users who don't want to use third party AT terminal software. WARNING : ESN / MEID / IMEI REPAIR IS INTENDED TO REPAIR ESN / MEID / IMEI TO ORIGINAL ONE WRITTEN ON PHONE BACK LABEL / BOX. WE DO NOT ENDORSE OR ENCOURAGE ESN / MEID / IMEI CHANGING. ITS ILLEGAL. USER IS SOLE RESPONSIBLE FOR ANY ILLEGAL ACTIVITY DONE WITH USE OF FEATURES PROVIDED IN OUR SOFTWARE, NOT LIMITED TO ESN / MEID / IMEI. ANY USER USING OUR SOFTWARE FOR ILLEGAL PURPOSE WILL BE SOLE RESPONSIBLE FOR HIS ACTS. WE CONDEMN USE OF OUR SOFTWARE FOR ANY ILLEGAL PURPOSE. - Download UMT Support Access. 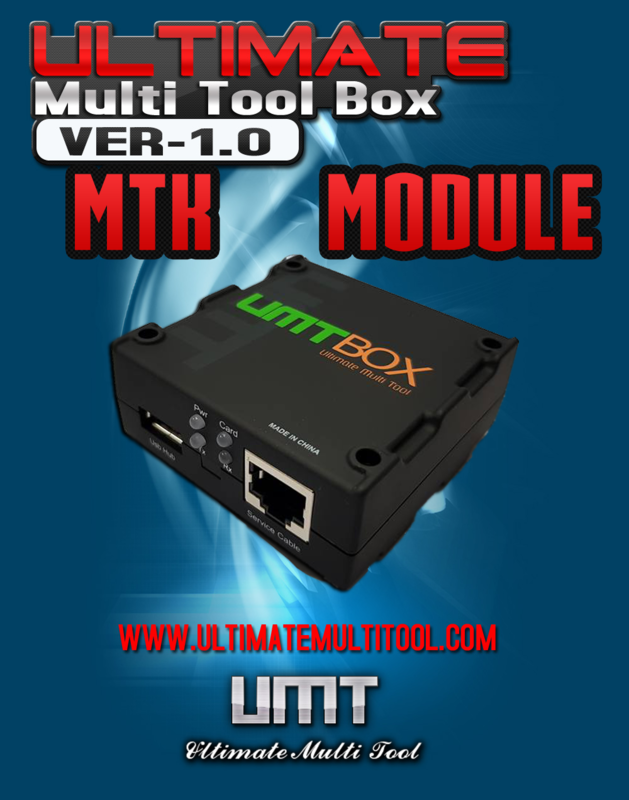 - Connect UMT Box/Dongle to PC and Run UMT Support Access. - Download required Executable from Installer folder. PLEASE DO NOT POST OFF TOPIC HERE. ONLY POST REGARDING THIS UPDATE AND SUPPORTED MODELS. ANY OFF TOPIC POST WILL BE DELETED IMMEDIATELY. --- Now you can download files upto 10x faster. --- Add as many files as you need to download in Queue. --- Tick on Process Queue and Start and forget it. --- If you want to download all queued file automatically, you must tick Process Queue. [x] Standalone, Can be used in parallel with UMT Software. --- Box/Dongle is needed only on start time. --- Simply minimize to System Tray when not in use. --- After it has run, you can use other UMT Modules without need to close Support Access. --- Double click on System Tray Icon and it will be on your Service again. --- Only Files which have tick mark in Download File will be downloaded. --- By default, files are only Queued so you can add all needed files and download at once. Don't wait for others to copy us, and make it tomorrow while we made it yesterday. - FRP Reset without Downgrade or FRP Pack. - Shall work on many Samsung Devices with latest Patch Level. - Connect phone in download mode and reset FRP from Ultimate Flasher > Auto Root and FRP > New FRP Method. - Once phone enters Home Screen, goto Menu > Settings and do Factory Reset. Powered By Fast Unlocking Ltd.
--- Few internal loaders added to support different devices. --- Manual CPU selection in Flash Tab was causing "Loader not found" error. Now Fixed. --- If it is checked (default), device will auto reboot to normal mode after flashing. --- Auto Detection routine is improved to make detection more accurately. This list is limited to tested models only. QcFire supports hundreds of models already with its unique customizable features. - Flash or Skip any partition while flashing. - Auto detection of most CPUs. - Unique Protection system to protect IMEI/Calibration from damage. - Erase option to erase any selected partition (to remove Locks/FRP from customized devices). - Safe Mi Account Reset Method to avoid WIFI or BT issue. --- Now you can flash BL, AP, CP and CSC with Ultimate Flasher. --- You need to repair boot to downgrade for unlocking. --- Tick New Method in Samsung SPD Repair Tools. --- Need to select Samsung Mobile Serial Port. --- Tested on J210F (SPD). --- If IMEI is back to old after reboot, it means it is not supported. --- It will auto detect if selected file is Normal Firmware or WEBUI Firmware. --- Old Method, 2016 Method and New Method is moved to single place. --- You will find all FRP methods in Tools / FRP Tab. --- New Method FRP will now work on SPRD, MTK and PXI Chipset too. --- If you get Rejected or Blocked Error, that means it has latest firmware. --- You can try to downgrade to last version and try again. ------ There are 2 methods, you can try second method if first does not work. ------ You can relock bootloader if needed or if you face any issue after Bootloader Unlock. ------ It also has 2 methods, you can try second method if first does not work. ------ Enable diagnostic port by *#558# > Quality verification test > Debugging port. ------ Supports both IMEI and MEID Repair. --- Tested on J210F and J105B (SPD). --- Put SIM after IMEI Repair and first select 2G Mode. --- Once you get full network, you can select 2G/3G/LTE as per your need. SUCCESS STORIES AT A GLANCE? Too many success stories, you can not read it in a glance. - Add your own picture as Boot logo. - No need root etc as it is done in Download Mode. PS. There is now 2 Versions of each setup. [/URL]PLEASE DO NOT POST OFF TOPIC HERE. ONLY POST REGARDING THIS UPDATE AND SUPPORTED MODELS. ANY OFF TOPIC POST WILL BE DELETED IMMEDIATELY. - Some phones have encrypted or incompatible userdata format, so it may fail on such device. - Now no need to use Boot Button as it is removed. - On each operation, it will ask you to connect phone and will boot from beginning. - You can still untick Auto Mode and select desired Loader or tick Custom to use Loader from FW pack. - Now after reading partition table, a new dialog will open where you can select required partitions to read. - Now firmware is no plain, and size is reduced to almost 60%, ie. 4 GB Firmware will be around 1.8 GB now. - Now Firmware read by UMT will NOT BE COMPATIBLE with QFIL etc any more. - You can put supported devices in EDL Mode from Fastboot Mode. - It will not work on devices with closed EDL mode. - For such devices, you will need TestPoint. - Now if you connect device before clicking on button, it will auto detect and boot device. - No more headache of reconnecting device again in EDL mode if you connected before software asks you to connect. - 8937 - Updated Loader to Support phones like Lenovo etc. - Turn On USB Debugging and connect phone. - Select Model and click on Unlock. - Updated to support devices with dual logo in firmware. - Now you can select image of same dimension as in firmware to avoid issues. - Now you can fix Software update error without full flashing. - You can use this function to Reset FRP on phones with ADB Enabled, by trick or by Combination. Đức Lâm q12 và Thuytrang-GSm thích điều này. - Power off phone, Hold VOL DOWN and press power for 2 seconds, leave power button. - Now use VOL DOWN to scroll to Factory Mode, and select by VOL UP. - Let phone start, install drivers. - Click on Enable ADB in Motorola QC Tab. - Now turn off phone, and again start in Factory Mode. - Now click on Reset FRP in Motorola QC Tab. - Now need any internet connection, no headache. - We recommend to disable Antivirus / Firewall to avoid issue. - Put phone in Download Mode and Reset FRP by New Method. - Tested on J500F with February 2017 Patch Level. Using International Edition of our software is prohibited by Indian Law. We strictly advice you to use Indian Edition if you are in India. If you use International Edition in India, it may cause legal action against you by local law enforcement agencies. We will not be liable for any loss or damaged caused. - Reset EFS without Root etc. - Be careful to make Backup of Security using Read Firmware option to avoid any issue later. - Some phones may need to write back working QCN for network. - Now it is moved under a separate button. - It may try to disable relock of Mi Account. - It is just a test option, may work, or may not work completely. - Last update had issue selecting correct loader, Now it is fixed. - If you get "Write Err! ", you can try with different loader of same Chipset by unticking Auto Detect. Some Internal Improvement and bugfixes. - EFS and Calibration Data Protection Option to avoid flashing of critical partitions. - Download Mirror - Google Drive. - Read Pattern ( older than 6.x). - Not like others who support 99% CPU but can not even BOOT this CPU. - You can Reset EFS of LYF phones to repair IMEI. - No need to worry about SPC error on Read QCN. - After Reset EFS, just Repair Original IMEI using our GSM Module > Qualcomm Universal > UMT Method . - Now you can flash almost any phone with 512B or 4KB Sector. - Auto patch file selection updated to use related patchx.xml like patch2.xml for rawprogram2.xml. - Improved log display to show partition name with file name. - Now it should support devices with different firehose protocol, eg. OT-6045B. - Now it will support more brands, like Alcatel etc. - We recommend to make Security Backup first inscase you feel any issue later. - Incase of any issue, you can flash back security backup you made. - Now it will simply skip flashing of missing files, instead of showing any error. - Previously it was showing "file missing" message and flashing was not started. - Please note, that some missing files from firmware may cause boot-loop. - Write Err while sending loader. - It means that selected loader (either manual or auto) is not compatible with hardware. You should try with other loader for same CPU (as mostly all CPU will be detected perfect with QcFire), or use Factory Loader which often comes with Firmware. - Init Handshake Sequence Failed. - Common communication problem with phone. Try to connect phone again in download mode and try operation again. - Read Pattern is supported only on Android older than 6.x. It should work fine with 5.x and lower Android Versions. - It means that Mi Account data was not found. Check if phone asks for Mi Account on startup. Otherwise, Format FS, turn phone ON, then turn OFF and try again. - Warning! High Speed Driver not installed. - This will seriously downgrade Reading performance. Please update driver from QcFire\Drivers folder. However, it should not affect flashing procedure. - First of all, thank you for using our software as a standard for you as you love to compare your tool with ours. Everybody knows, we always compare to someone better than us and try hard to be like them. But some people get success, some face failure. Got success or not tried hard yet? - Thank you to edit our logs before posting with your update, because somewhere you know that you can't beat us without cheating and without making our users fool. Got success or not? - You claim to support 99% CPU and irony is, that you can not even boot MSM8996. Or possibly you have sniffed our code and learned about it. Learned or not? - You claim to be the first to support all CPU by factory loaders, or user can select their own loader. It made us laugh very loudly. As our users, and even yours, can see that we support Custom Loader selection option since v0.1. - Next time, use logical things to impress your users. Users are not as much fool as you think. They make us perfect with their complaint and support. So if you try to fool them, you actually try to fool yourself. - If you find some grammatical or spelling mistake in my message, don't make it a point for your next update. Our English is not that bad and such mistake is just a typo. - To flash all rawprogram files, you need to select them one by one. - We will automate it for such firmwares in coming updates. - Incase of Vivo Y55, please untick Auto and select 8937_4 manually. - Some users were getting issue on getting Payload Information. - We again recommend to make Security Backup first. - Now for rawprogram_unsparse etc, it will auto select required Patch file. Added Warning in Log incase some parts of Firmware are missing. - You can now decide before flashing if you want to flash with these files missing. - Now no more Card update dialog after updating to Latest QcFire or GSM Module. - No more [ERR_VERIFY] issue. - No more need of Right Click > Run as administrator. WE RECOMMEND OUR USERS TO UPDATE TO THE LATEST VERSION OF OUR MODULES TO AVOID ANY FUTURE ISSUES. - You may need to Repair Boot first to be able to downgrade for Unlock. - Unlock firmware and General firmware will be available on support. - Test Point pictures will be on support too. - Connect phone with USB Debugging ON. - Click on Demo Reset and follow instructions. - Old Root Packs are NOT COMPATIBLE now. - You can reset FRP once Root Pack is applied in Samsung Flasher > Auto Root and FRP. - These files are on Support. You can download as per your need. - These files are on Support. You may download and put in FRP folder as per your need. - Download Mirror - Google Drive and Mega. Long List of Success Stories can not be put here. - You can write TOT / DZ / KDZ / ULF Firmware. - Write firmware should work on almost all phones. - You can read firmware in ULF (Ultimate LG Firmware) format. - ULF firmware can be used to flash phones. - New signed phones may not work with this firmware as they need sign data, which resides in KDZ only. - You can extract files from KDZ firmware eg. DZ file. - You can extract any partition from DZ, TOT or ULF format. - It may be useful for advance users. - You can create QFIL compatible rawprogram0.xml using this feature. - For boot repair purpose, you can untick system, userdata, cache etc, and generate XML with rest of files. This is just an initial release. More features and options will be added in next update. IMEI Repair / FRP is already supported in Ultimate GSM Module. Those and other features will be moved to this new module step by step. --- You can wipe any partition you need. --- You can use this feature to Reset EFS without Root. - Updated Loader Selection Method. - Updated 100+ Unique Loaders for different HWIDs. - Now Loader Write Err should be fixed for most phones. - Fixed BackupGPT Read Error on some devices. - It is just a compatibility update. - Updated for compatibility with other modules. - Old Support Access with no longer work. - Added Mirror Link in Support Access if you want to download from Mirror. - Please download UMT Support Access from link at the end of this post. WE HIGHLY RECOMMEND TO UNINSTALL OLD VERSION, AND BETTER TO DELETE UMTOOL FOLDER FROM C:\ AND THEN INSTALL THIS SETUP. ESN / MEID / IMEI REPAIR IS INTENDED TO REPAIR ESN / MEID / IMEI TO ORIGINAL ONE WRITTEN ON PHONE BACK LABEL / BOX. WE DO NOT ENDORSE OR ENCOURAGE ESN / MEID / IMEI CHANGING. ITS ILLEGAL. USER IS SOLE RESPONSIBLE FOR ANY ILLEGAL ACTIVITY DONE WITH USE OF FEATURES PROVIDED IN OUR SOFTWARE, NOT LIMITED TO ESN / MEID / IMEI. - NO Need of so called SPECIAL FILES etc. - Just Remove Mi Account like you did before by clilcking Reset Mi Acc button. - When asked for YES/NO in next prompt, select YES if your phone has been already relocked. - After phone reboots, confirm by connecting to WIFI / Cellular Data. From now, you must use only latest module to update Card when required. Like for example, as the QcFire Module is latest, you must use QcFire to update card when required. - You need root pack for device. - Just apply Root Pack from Ultimate Flasher > Auto Root and FRP and do Reset Locks. Fixed Hanging Issue while loading data from Root Pack. Uploaded New Root Packs on Support. - Download Root_Pack_7.0_New.exe from Root_Packs folder and run. Combination for Note8 has been added to Support\Firmware\Samsung\!COMBINATION folder. It was missing and some users were confused about it. FOR THANKS, USE ONLY THANKS BUTTON. - Shall work on all Motorola Patch Level till now. - Simple, just connect device in Fastboot mode. - Click on New FRP and follow instruction. - 1 Year - Buy from here. - 2 Year - Buy from here. --- This Support Area is accessible from UltimateHWF Software. --- You can write either in Fastboot or Emergency Mode. --- It can write these ROMs in Fastboot without Signature / Compatibility Issue. [x] Partition Extraction from UPDATE.APP to IMG File. 1. You need Huawei Tool Activation to use this Module. 1. You can use this Tool with same activation or can buy if not have activated yet. - Repair Software Issue, Fix Bootloop or Hang on Logo on most Devices. - Repair IMEI, MEID, ESN, SN or even can repair Empty Boards. - Reset FRP on many devices. - Read Bootloader Unlock Key for most devices. Please refer to our EULA on Software Start. You can still download new Setup and UMT Fw Updater using old Support Access. - Shall work on all Oppo Qualcomm Devices. - Need to connect device in Diag Mode. - Goto Oppo Tab, tick New Method in Network / Region Unlock and click Unlock Button. - This is the advance interface for flashing / repairing device. - This feature is inteneded for only Advance Users. - No need to edit program xml as you can directly load files to partitions. - It will also identify partition type, like RAW or EXT partition. - You can use this function to flash extracted UPDATE.APP without GPT in it. --- Connect phone and get list of Partitions with Name, Type and Address. --- You can load extracted UPDATE.APP partitions directly using this function. --- Tick partitions you need to erase. Use this function with caution. --- Flash selected partition with files of your choice. - These files will be RAW, can be flashed with Advance Flasher Interface. - Now it will automatically save RAW EFS Backup in EFS_Backup folder. - You can restore this EFS, if needed, using Advance Flasher Interface. May this New Year bring more happiness and prosperity to you. - New ADB Method added. - Added Universal Method for models not listed here. - Must have ADB enabled on phone. - This option will fix Network issue caused by New FRP Reset Method. - If you get IMEI back to original, but no network, please full flash phone. - This feature will revert back phone to original factory state. - Added Automatic and Manual Mode incase Model is not auto-detected. - We have added this list for ease of users. - These listed Brands and Models are only those which users have already tested. - QcFire supports even more Brands and Model than listed. - We have update eMMC / UFS detection routine. - Some Phone have MSM8996 CPU but still use eMMC Chip. - QcFire can now easily detect Chip Type for such phones like ZUK Z2132 etc. - This option is in Miscellaneous Tab. - Connect phone Fastboot Mode, click on Reset FRP and follow instruction. - If this method does not work on newer firmware, please use QcFire. - You need to connect phone in FTM Mode. - If this method does not work on latest firmware, you may use QcFire. - Added Automatic and Manual Mode in case Model is not auto-detected. - Features introduced here will work on other devices too, which are not litsed here. - User needs to untick By Model checkbox to be able to select Platform manually. - For manual work, just select desired Method (1 is for older devices, and 4 is for latest) and DA. - Rest operations will work same. - Some features are device/OS specific and may not work on all devices. - Now software will abort if required driver is not installed. - In such case, phone should stay in flash mode, and you should manually update driver from UltimateMTK\Driver folder. - Please start a new thread, and post complete log (no cuts), and full screenshot. - Follow your thread for instructions. - When we tell you something, try it, and also post complete log with screenshot. - If you post about anything NOT WORKING, WITHOUT LOG and SCREENSHOT, it will be useless and will be DELETED. - Now you can Read Firmware Info without any further headache. - Now you can Backup EFS directly. - EFS Bakcup is now single file (UEB), and you can restore it easily with Restore EFS Button. - Reset EFS will also create EFS Backup before resetting EFS. - This function is really very dangerous, so DO NOT use it, if you do not know how to use. - It will erase whole flash chip. - It should not be used, until you know you really need it. Added Patch Level Info in Read Info for better identification of firmware. Rewritten ComPort Communication function, should be little faster now. - You can put your ZTE phone from FTM mode to EDL Mode. - Just connect phone in FTM Mode (FTM or similar thing on phone screen). - Some phone like Xiaomi Mi A1 have dual system. - Now driver identification works even if you connect device first. - This function will dump whole userdata partition. - Usefull if you want to read it to restore same phone later. - We do not recommend to use this function for normal firmware backups. - Few users reported about this error on only 1-2 devices. - If problem persist for any device, please make a separte thread with detailed logs and screenshots. - Another workaround for this issue is to update Driver from QcFire\Drivers folder.